New Year New Home - A Stunning 5 Bedroom Contemporary Family Home. Help to buy is available! 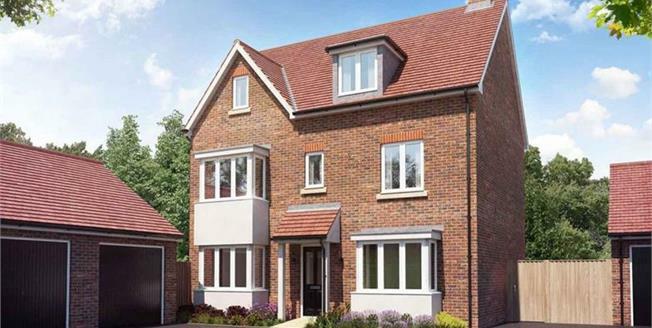 Plot 566 has a south-west Garden and is a corner plot on this thriving development in Aylesbury. The Gallinule is a stunning five bedroom detached property. The new community of Berryfields lies on the outskirts of Aylesbury. In this 181-acre area of leafy parkland dotted with houses and apartment buildings, there are local independent shops and services, three schools and a gym; as well as recreation areas with cycleways, bridleways and footpaths. Berryfields is a gateway to the charming Vale of Aylesbury at the foot of the Chiltern Hills - a protected beauty spot where you'll find dozens of country pubs, pretty market towns and grand country houses. A short drive away is Aylesbury, with its extensive mix of shopping, markets, leisure facilities and culture, while London is just an hour away by train. Martin Grant's exclusive new Kingsfield Park development sits at the heart of this idyllic community, bringing a collection of elegant, high-specification family homes which tastefully incorporate aspects of local architecture with our signature superior finishes.